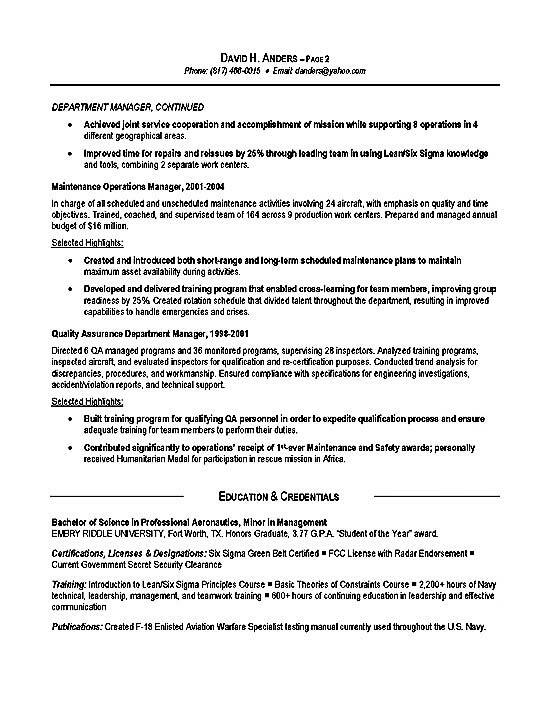 Below you will find a PDF version of the Logistics Resume Example for a former Director of Operations in the U.S. Navy. This professional is seeking a new position that would utilize skills in Operations Management. The introduction area uses a headline career focus with a summary and a core skills area. This section features skills in strategic operational planning, six sigma and lean manufacturing Production. The candidate is also proficient in process analysis, training and logistics. The job experience outlines work history and advanced in the Navy. The candidate advanced from a QA Manager and Department Manager to the high level Director job title. The writer uses paragraphs to outline key responsibilities. Bullet points are used to emphasize achievements. The education section lists the Bachelor’s Degree and Six Sigma Certification. Related licenses and designations are also documented. For a high level military professional this job target is ideal. The individual worked as a Director of Operations for the U.S. Navy. In that role, they managed the production and replacement of parts in a multi-million dollar operation. There are many civilian job positions in production management that require this skill set. Numerous responsibilities in this job position will transfer into any operations or production management position. Most importantly, this individual can supervise over 100 employees and proven the ability to oversee high level projects. The last position involved management of a $7 million budget, providing a scope of responsibility. Lastly, the job seeker has direct successful experience applying Six Sigma and Lean Manufacturing. Of course, it is one thing to perform the duties, but to stand out among competition you need to produce results. In this resume achievements stand out. You can clearly see that in the recent position, the first two statements of accomplishment produced savings over $1 million. As you read the resume, notice how the quantified numbers stand out with 25% improvement in repairs. This style of resume with the content and accomplishments is optimal for producing job interviews. 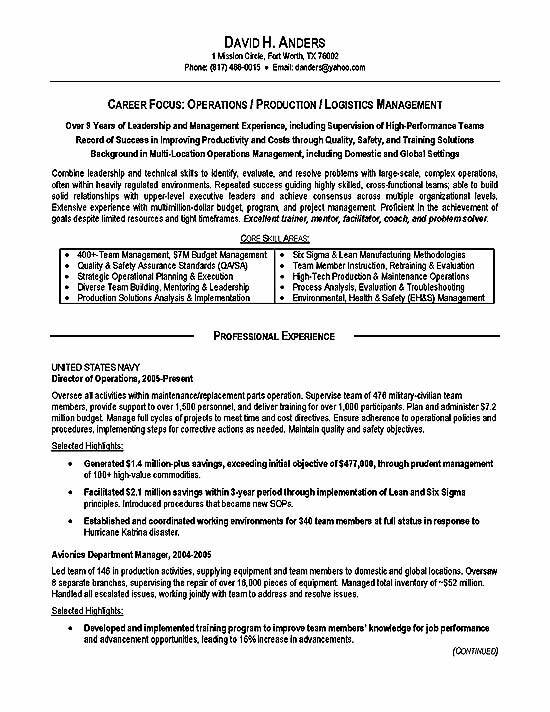 Operations Production Resume Example By Career Wizards Inc.